New Delhi, Nov 9: Prime Minister Narendr Modi met Prince of Wales, Prince Charles, and held wide ranging discussions on India-Britain ties. "A relationship marked by mutual respect and strong bonds of friendship. 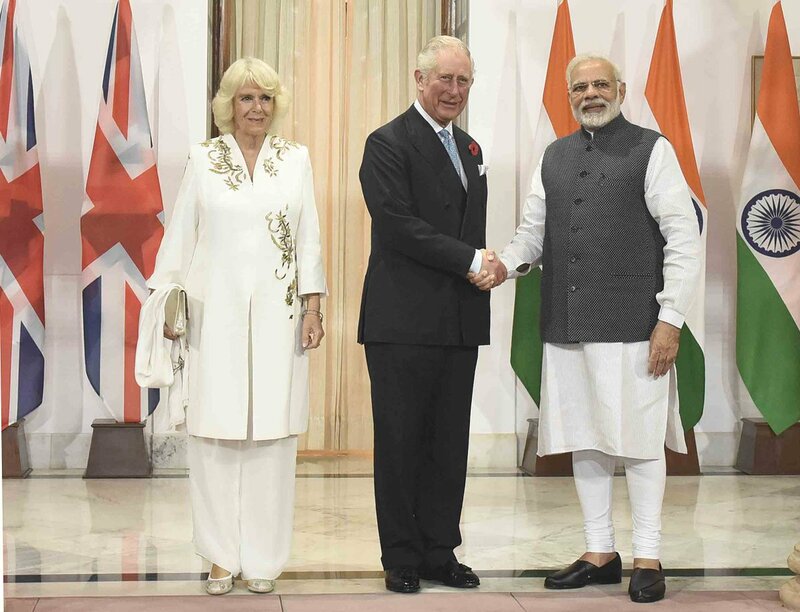 PM @narendramodi welcomed Their Royal Highness, the Prince of Wales and the Duchess of Cornwall at Hyderabad House, wide ranging issues on strengthening bilateral cooperation were discussed," Externl Affairs Ministry spokesperson Raveesh Kumar tweeted. Prince Charles, accompanied by his wife, the Duchess of Cornwall, Camilla Parker-Bowles, arrived here earlier on Wednesday on a two-day visit to India in the final leg of their 10-day four-nation tour that also took them to Singapore, Malaysia and Brunei. The Indian diaspora in Britain is one of the largest ethnic minority communities in the country, with the 2011 census recording approximately 1.5 million people of Indian origin equating to almost 1.8 percent of the population. This is Prince Charles's ninth visit to India. He had earlier visited India in 1975, 1980, 1991, 1992, 2002, 2006, 2010 and 2013.